Manufactured to the Lamborghini standards. 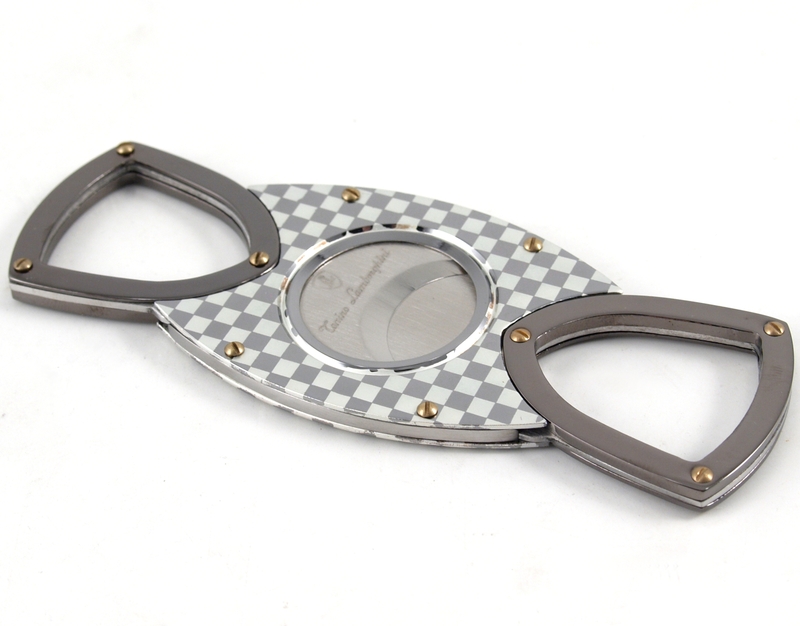 The stunning piece will cut your cigars with the utmost precision every time. It comes packaged in a Lamborghini Accessory Gift Box and makes a perfect addition to any cigar aficionado's collection. With the name Tonino Lamborghini etched into the blades, they will slice through any cigar. Generous 56 ring gauge opening.